Not your typical pair of jeans, Kohzo Denim is made from traditional Japanese paper, bamboo and pineapple and the dyes used for the denim are made from vegetables, mud, fruit and charcoal. HLNR, 474 N. Robertson Blvd. in Los Angeles, 310.659.1434, Price available upon request. Relax in affordable and environmentally-friendly printed tees, polos, hoodies, cargo shorts, and casual pants from Nature89. 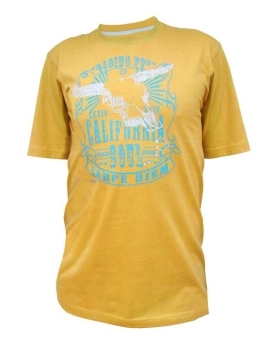 The entire line is made from certified organic cotton, eco-friendly dyes, and water-based inks. Carpe Diem Bull Tee, Nature89.com, $24.89. Nike ACG has a new eco-friendly spring line. This polo shirt is made from 100% certified organic cotton, which is grown without using synthetic pesticides or fertilizers, and contains SPF 30. 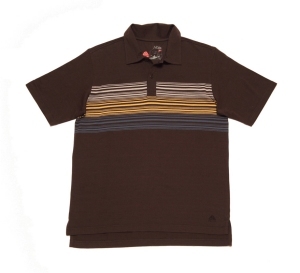 Kane Stripe Polo, DicksSportingGoods.com, $40. 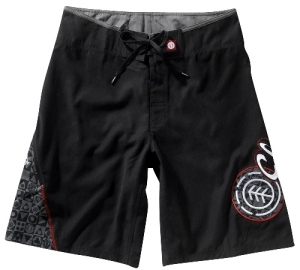 Skateboarder or not, these Element shorts are stylish, making them perfect for any guy, and best of all they’re made of Recycled Poly Suede which is great for the environment. Shout Trunks, ElementSkateboards.com, $59.50.